“Squatting” is no stranger to the majority of Great Ife students. Though it has different definitions according to individual perspectives, it could be simply explained as “an act of illegally occupying a building, space or land”. In the OAU context, the squatting picture can be painted as a situation where there are other students apart from the legally allocated occupants inhabiting a particular room. These extra students are called “squatters”. Squatting as an act has always been in constant condemnation by the University’s management as strictly illegal and hence not allowed. The Federal High Court, Osogbo has again adjourned the case of the alleged Illegitimate Appointment of Professor Ayo Salami as the Vice-Chancellor of the Obafemi Awolowo University as filed the Non- Academic Staff Union of the Institution some weeks back till Wednesday, 6th July, 2016. The legality of the appointment of Professor Ayobami Salami as Obafemi Awolowo University Vice Chancellor which was made public some weeks back has continued to remain a bone of contention within the University Community. The Non-Academic Staff Union (NASU) of the Institution has then filed a court case based on an earlier injunction on the appointment of a Vice Chancellor earlier filed by the same court. Following arguments from the Counsel of both parties , the Judge then adjourned the case till July 6th, 2016, to rule on whether allegations of contempt of court will be attended to before cases bordering on jurisdiction. Join me to celebrate the existence of a distinguished human of life, my friend, pen mate and confidant - Ojelabi Jesujoba. Your loyalty is second to known. Your promptness to delivery is outstanding. Your articles dumb-found and instigate. When we started out the Agency that brought us together, you were the last man standing when no one saw our vision; perhaps, there were no obvious gains then. I know for sure that you are limitless in your influence in this generation and that which is to come. You are someone I can never forget and I believe there are much more we can achieve together. 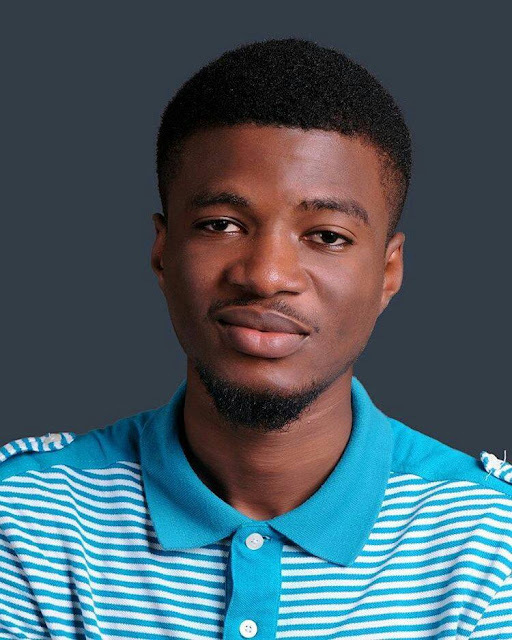 On behalf of all of us at OAU Peeps News Agency, we celebrate our ever dexterous Editor-in-Chief. As you add another year today, I pray God will continue to enlarge your coast and bless you in all measures. Sound health and more accomplishments I wish you. Igba odun, just one year for you fine boy!!! Have You Entered For The Great Ife Writer Project? Wouldn't you rather write and win some money? 1st Prize: #75,000 + 1 year paid writing contract. Only for OAU undergraduate students. This includes Freshers, Returning Students & just Graduated Students. The 234Project Essay Contest closes on the 30th of June! Prize Award Day: July 9th @ Aud 1 by 9am. Some students of Baptist High School, Adeeke, Iwo caused a stir among their colleagues as they appeared in the school in choir robes and other church garments. Our correspondent, who visited the school observed that the students came late to the school around 8:35 on Tuesday and headed to their various classes as their colleagues hailed them for their courage. 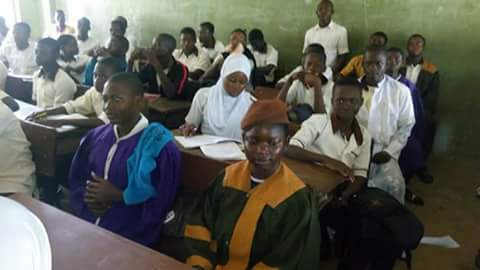 Many female Muslim students of the school wore hijab on their uniforms and some members of the Christian Association of Nigeria are in the school to monitor the reaction of the teachers to the mode of dressing of their children. No student was chased out of the classes for appearing in different clothes and all the students irrespective of their chosen uniforms are being taught by their teachers. Earlier, Justice Jide Falola of the Osun State High Court had on June 3 given a verdict that Muslim students should be allowed to wear hijab in all public schools in the state because it was part of their fundamental rights. "Why are you in Education?" Faculties: Technology, basic medical/Clinical Sciences/Dentistry/Agriculture, Sciences, EDM, Pharmacy. Session: Batch A - 8:00am-10pm, Batch B - 10:30-12:30pm, Batch C - 01:00-3:00pm, Batch D - 3:30-5:30pm. I stumbled on one article written by a student of University of Ibadan today. He has other options he feels are better than the proposed protest when the school re-opens this week. See what he wrote below. The Non-Academic Staff union of Universities, OAU Chapter has revealed that their protests still continue tomorrow 13th June, 2016. “Our protest will continue tomorrow (Monday) and will not cease by God’s grace”.. This is of course following the scuffle of the Non-Academic Staff Union of Universities, OAU and the school management concerning the appointment of Prof. Salami as new Vice Chancellor of the institution with NASU faulting the selection process as illegal. Activities on OAU campus has been held still since NASU commenced their protest since Tuesday, June 7th,2016. Freshmen have been unable to continue registration at their Various Departments and Faculties due as a result of this. There are speculations that the Non-Academic Staff Union would remain on strike till the next hearing of the Case in court which is slated for the 17th June, 2016. Osun State Governor, Rauf Aregbesola, has declared Monday, June 13 as work free-day in commemoration of the 23rd anniversary of the June 12, 1993 presidential election. This is according to a statement signed by the Director of Media, Publicity and Strategy, Semiu Okanlawon. Governor Aregbesola affirmed that June 12 most symbolises democracy because it was the date of the unequivocal affirmation of the unity of the country by Nigerians across all divides. Meanwhile, civil society groups held a rally in Osogbo, the state capital to promote their view that June 12 should be regarded as Democracy Day instead of May 29. The group, comprising civil society organisations, students and market women walked from Ayetoro area to Freedom Park and later moved on to Olaiya junction singing and chanting songs of democracy. 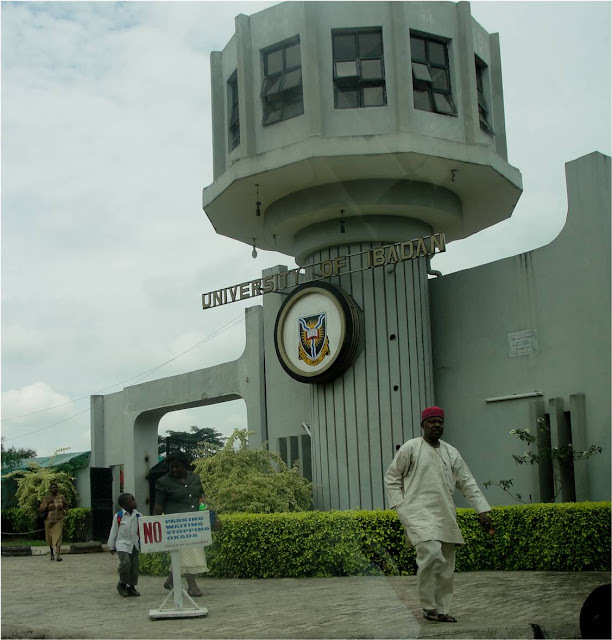 The Obafemi Awolowo University, Ile-Ife has continued to remain in the headlines of major news prints and online media in the country following the alleged illegitimate appointment of Professor Ayobami Salami as the Vice-Chancellor of the Institution by its Governing Council. The appointment which sparked serious protests of disapproval from the Non Academic and Senior Staff Unions of the Institution was however backed by the Academic Staff Union of the University which claimed that the process very much followed due process and as such was not in any way illegal. Keeping in mind that the Non Academic Staff Union had earlier secured a court injunction to stop the process earlier this year when the new Vice-Chancellor should have been an announced and had also disrupted the book launching of the incumbent Vice-Chancellor who was accused of some financial inadequacies and for imposing the current Vice-Chancellor (Academics) as his successor. Miss Adetayo Adetorera Hannah, the immediate past chairperson of the Mozambique Hall of Residence and other members of her administration were specially acknowledged, yesterday 11th June, 2016 during the Hall's Orientation programme held at the Basketball court within the Hall Premises. Miss Hannah, popularly and politically referred to as Annadiva was recognised based on the exceptional work she and her team did over the one year tenure. The Hall Warden also praised the Annadiva led administration most especially for the financial accountability of the hall under her leadership. Also present at the event was the Vice Dean of the Division of Student affairs, Dr Afolabi, who handed plaque and cash prizes to the awardees. He also further stated that the legacy must be maintained, stressing further the need to reward students for other worthy acts asides academics. Some other awardees at the event included staff members like Mr Iyiola, Mr Olawale and Mrs Akinbobola.